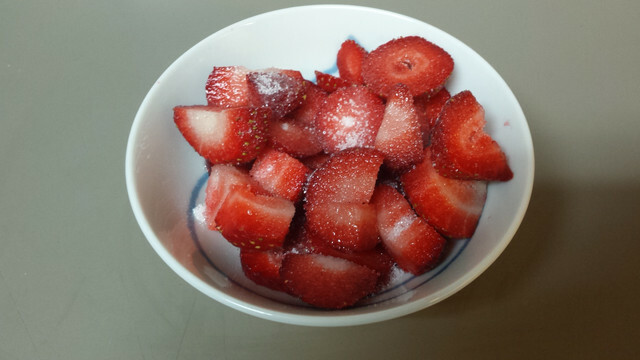 In a bowl: Slice strawberries, dust with sugar, stir and let sit for 1 hour. 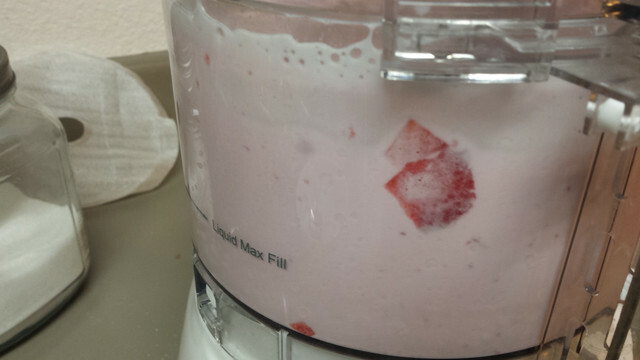 In your blender, or a food processor: Slice strawberries, pour sugar over top, and pulse together together and pulse a few times to mix. Let sit for 1 hour. 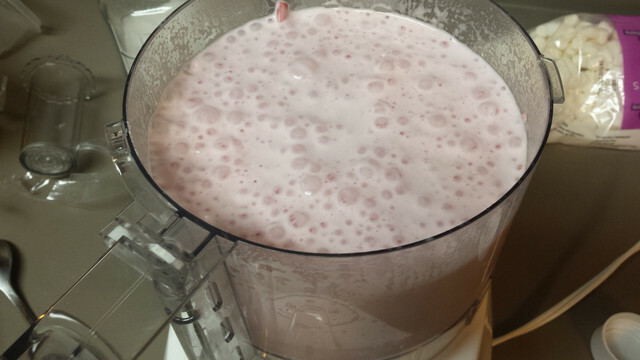 Then, when berries are nice and juicy, blend well until the strawberries aren’t chunky and are a nice strawberry liquid. If you don’t have a blender/food processor, dump your berries out on a cutting board and run your knife through them repeatedly until there aren’t many big chunks and it’s mostly a mass of liquidy-berry mush. Pour this all back into your bowl, including juices. Then, either blend or stir together with your milk. Be careful! It gets really frothy if you food process it. Pour into a glass, and you are done! 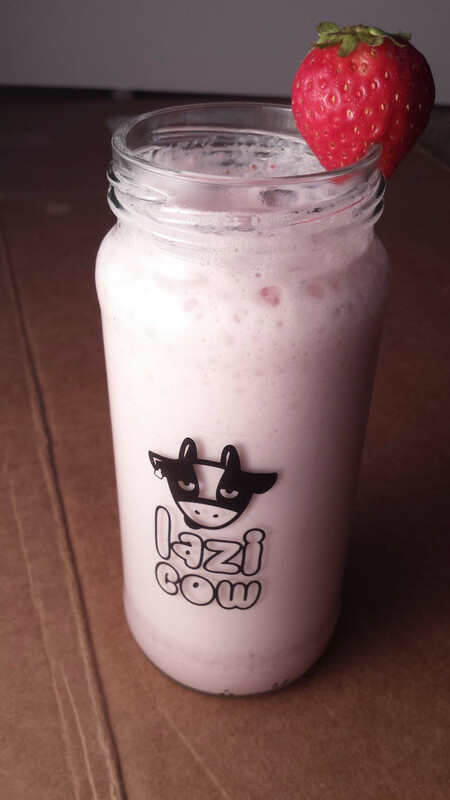 Hopefully you can fully appreciate the absolute deliciousness of this milky drink. I can truly appreciate why Gintoki would drink it all the time. It’s fun, a little childish, a little silly, but very, very delicious. 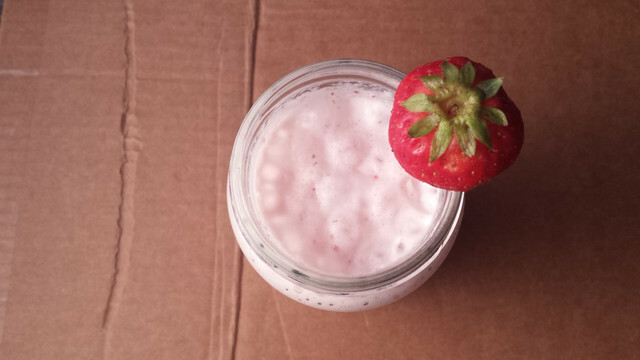 Also, surprisingly smoothie-like. I highly recommend as a morning smoothie alternative.